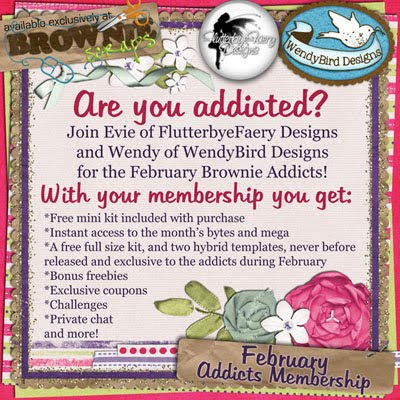 FlutterbyeFaery Designs: February Addcits, Bytes, and More! February Addcits, Bytes, and More! This month, I'm giving out this Add-on kit in the newsletter for the Brownie Bytes Download. 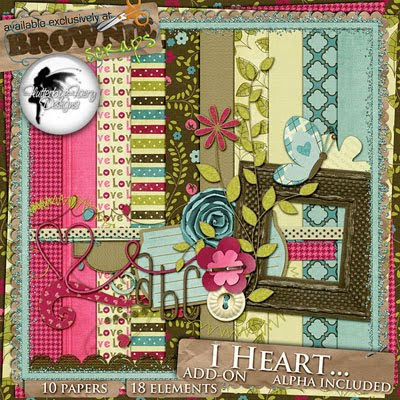 You'll get a portion of this kit each week in the BrownieScraps Newsletter! But wait! There's more! 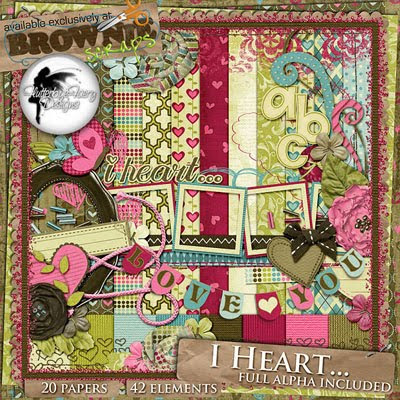 If you don't feel like waiting each week for the portions of the Brownie Bytes, and just go purchase the add-on for only $2, you'll get this bonus papers pack free!!! Another way to get all 3 for one low price, plus even more goodies- get yourself an addicts membership! It's $10 - you get the 3 products above, PLUS the mini kit that you can see parts of on the ad below, PLUS a full size exclusive kit that isn't even released yet! AND Hybrid project templates from WendyBird Designs. AND coupons through out the month AND (yes, another and) special challenges that earn you coupons to our stores! WOW that's a lot of goodies for only $10!